In Destiny 2’s first and second expansion, instead of getting a raid on an entirely new planet/location, the Leviathan is going to be updated. A Raid Lair is what Bungie is calling their upcoming raid content. Guided Games is enabled for it as well. 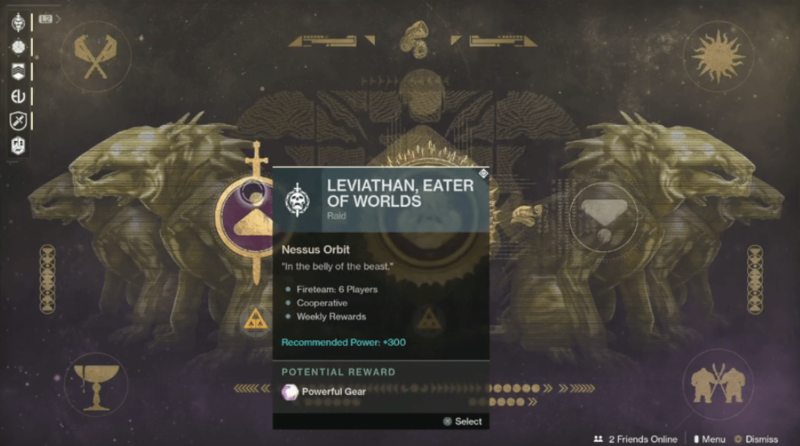 Leviathan, Eater of Worlds – is the first Raid Lair that we’ll be able to experience. It’s a 6-player activity located in the “belly of the beast,” with a new set of encounters, puzzles, loot, new places to explore, and a new final boss. There will also be a Prestige mode for the Raid Lair. Most importantly, Bungie explains that this activity is going to be just as challenging – if not moreso – but the time commitment required to complete it is lower. So for people who don’t have a couple hours to complete the Leviathan, the Raid Lair mode is going to be for you. We’ll be getting a second Raid Lair with Expansion II, which looks to also be set somewhere on the Leviathan.